Volunteers use the "bucket brigade" technique to distribute mulch in an orchard at the "Cultivating Inclusion" community garden. Hundreds of volunteers from local wards of the Church of Jesus Christ of Latter-Day Saints provided community service at three locations Saturday, including two non-profit organizations that provide valuable service themselves. 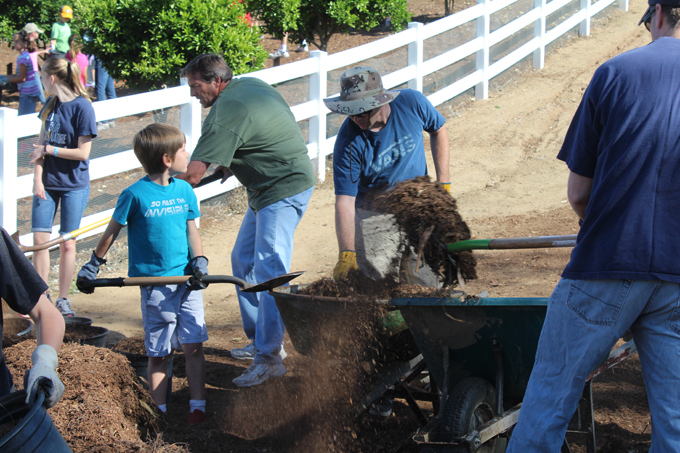 As part of the church's annual "Just Serve / Helping Hands" outreach program, volunteers spent much of the day working on landscaping, construction and packing activities. 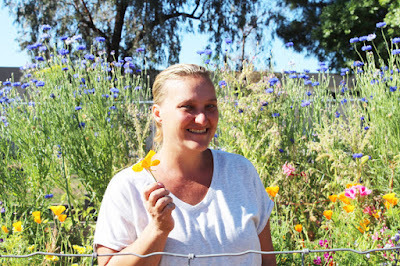 Nearly 150 people spent time at "Cultivating Inclusion", a community garden adjacent to the Alta Murrieta Sports Park. Dozens more worked at EQUU8, a horsemanship and therapeutic riding facility. In addition, members of LDS youth groups prepared items in a hygiene and diaper drive at a local church building. 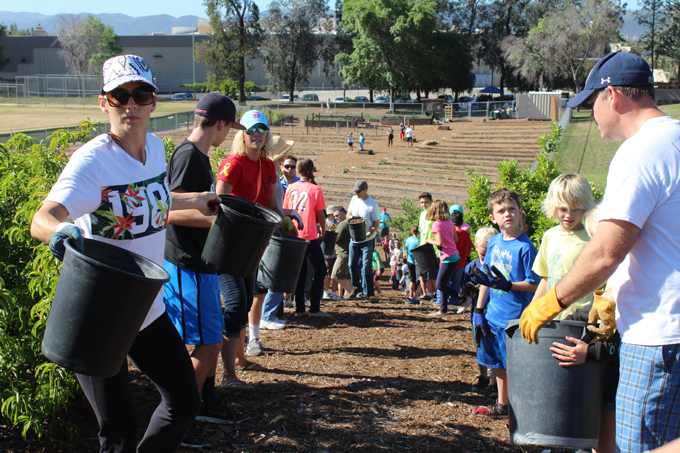 At Cultivating Inclusion, volunteers worked on a hillside orchard, passing buckets of mulch up the hill and spreading it to help fertilize the trees. They also assisted in the planting of some of the many crops grown at the garden. Julia Rogoff (right) runs the facility as director of Go Bananas, a non-profit that promotes awareness and inclusion of young special needs individuals in the community. Three mornings a week, up to 150 participants work in the garden as a therapeutic program, planting and caring for a variety of fruit trees and vegetables. The crops include lemons, oranges, grapefruit, peaches, plums, corn, zucchini, squash and other items that are donated to local food banks. "The students are brought here to learn about what it takes to do this," Rogoff said. "The whole idea is to facilitate inclusion, to get them involved with the community." Rogoff expressed appreciation for the volunteer help on Saturday. She said more volunteers are needed for the weekday gardening sessions, as well as the donation of tools. "We're so busy doing it ... we need to get the word out about what we're doing here," she said. "We didn't know how fast the project would grow." 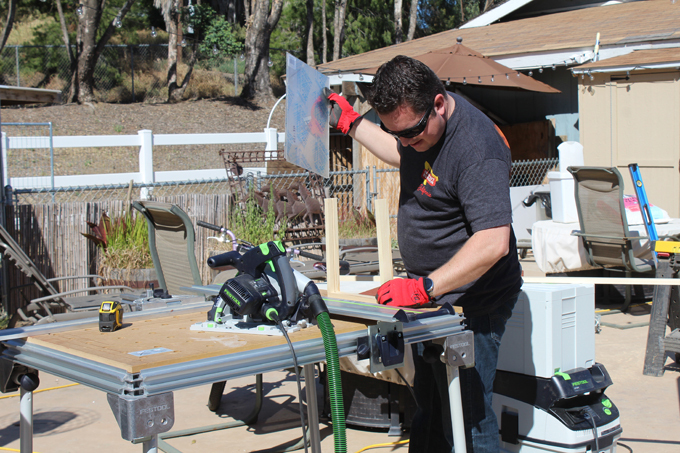 Across town, Suzanne Hodges of EQUU8 was busy supervising volunteers who were performing various tasks at the equestrian facility, including building a sensory trail for horseback riders with autism. "People with autism need more sensory stimulation than just sitting on a horse," she said. "This will help them to move about the property, experience elevation changes, different sounds and feelings." The facility currently serves 24 students and is awaiting additional funding. In addition, small group community horseback riding lessons are given. The facility covers 2 1/2 acres and includes a riding arena with a mounting ramp to help students mount the horses. The sensory trail was being created by volunteers who were clearing brush and constructing wood structures that will provide the various types of terrain. "There will be a bridge and step-up railroad ties," Hodges said. "The ground will include a variety of surfaces -- sand, sod, wood chips, rocks. The riders will be able to hear and feel the different senses as they ride over the surfaces. 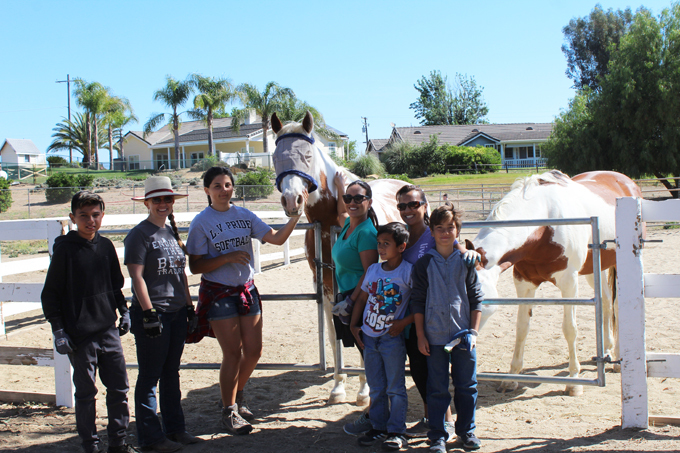 "Horses are a great motivation to help kids with autism grow." 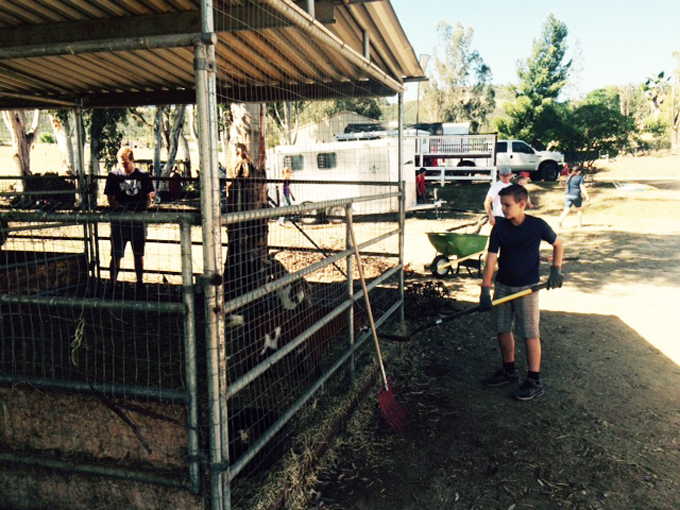 Volunteers helped clean out stalls housing goats and other animals at EQUU8. Workers took time out to visit one of the horses.